The Blue Jackets were the sixth NHL team to comeback from being down at least three goals to beat a No. 1 seed in a post-season game. Star centre Sidney Crosby, who was held off the scoresheet in the opener, wasn’t surprised by the close game. The Penguins also knew how tough the Islanders play after splitting four meetings in the regular season. New York’s stingy defence earned the Jennings Trophy by allowing the fewest goals in the league this season. San Jose’s big off-season move paid off in the opener of the playoff rematch against Vegas. 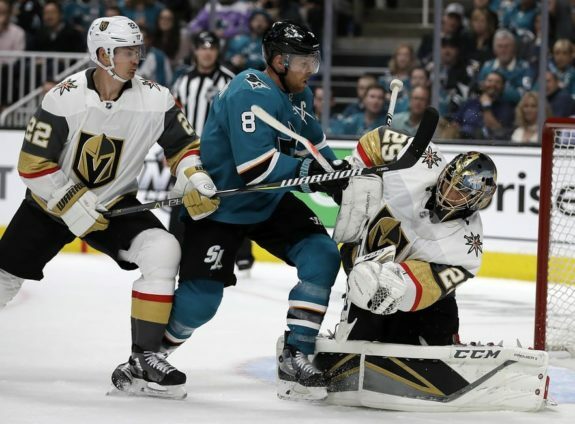 Star defenceman Erik Karlsson showed why both the Sharks and Golden Knights coveted him so much when Ottawa put him on the trading block, recording two assists and playing more than 26 minutes in San Jose’s 5-2 victory on Wednesday night.